For International Women’s Day 2018, CHETRE, the Centre for Health Equity Training Research and Evaluation at the University of NSW, has teamed up with RAWA, the Redfern Aboriginal Women’s Alliance to present a series of interviews with Indigenous women and one non-Aboriginal public health professional. CHETRE is part of the UNSW Centre for Primary Health Care & Equity; a unit of Population Health within South Western Sydney and Sydney Local Health Districts; and a Member of the Ingham Institute for Applied Medical Research. CHETRE works to ‘co-create intelligence for better health’. The theme of this international women’s day is “press for progress.” We’ll be talking with our guests about their life and work and what it means for Indigenous women especially to Close the Gap. Pam Greer is Educational Consultant and Lead for Weaving the Net and Strong AboriginalWomen community Programs with the Education Centre Against Violence. in 2008. Pam is integral to ECAV’s Weaving the Net and Strong Aboriginal Women programs and is a member of Aboriginal Communities Matter Advisory Group (ACMAG). More information on the Education Centre Against Violence. Associate Professor Marilyn Wise has 25 years’ experience in the field of health promotion as a practitioner, service director and researcher. Her main fields of current interest are influencing public policy to create conditions for equity and population health, Health Impact Assessment, and contributing to strengthening the capacity of Aboriginal communities to promote health. Marilyn has been a member of the editorial boards of the Australia and New Zealand Journal of Public Health, Health Promotion Journal of Australia, Promotion and Education, and Drug and Alcohol Review, and has written more than 50 articles, editorials, book chapters and government reports. She has served as Regional Vice President and Global Vice President (advocacy) of the International Union for Health Promotion and Education. She has also been a Technical Advisor to the World Health Organization in Hong Kong, Malaysia, and Thailand. Marilyn is conducting research to find ways to increase the power of minority populations to set public policy agendas, to frame problems and solutions, and to influence public policy. For more information on Marilyn’s work, visit her ResearchGate page. Activist, Educator, Aboriginal Tent Embassy, FISTT (Fighting in Solidarity Towards Treaty) representative and Sovereign Treaty Advocate. Lynda-June Coe is a Wiradjuri and Torres Strait Islander woman from Erambie, Cowra NSW. 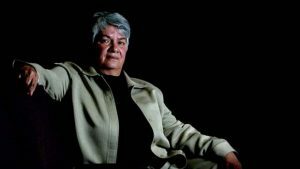 From one of the most politically active family groups in the country, Lynda-June was educated from an early age by leaders of the Aboriginal Tent Embassy. She has been involved with the grassroots movement since the NTER (Northern Territory Emergency Response) – known as ‘The Intervention’ – in 2007 and stands for affirmative action for young people to speak out against ongoing colonial systems of apartheid and systemic genocide. 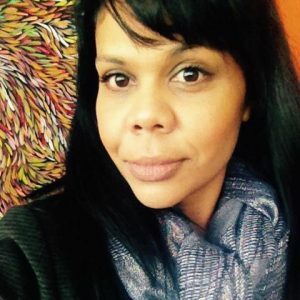 As an educator, Lynda-June brings this to the young black movement known as FISTT (Fighting in Solidarity Towards Treaty) which has led and supported national campaigns in Sydney and NSW. In 2014, Lynda-June moved home to Wiradjuri country to teach young people the importance of identity, culture and connection to country. She has since moved to Newcastle where currently resides to finish a higher research degree. 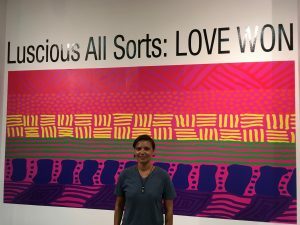 Sorts: Love Won’, which showcases Aboriginal and Torres Strait Islander LGBTQI Artists from across our communities. Kyra believes we must support younger generations of Aboriginal and Torres Strait Islander people, as it’s important to continue traditional practices so the next generation will know who they are and knowing where they are from, through maintaining connections to traditional lands, culture, family bloodlines, spirituality and laws, as Aboriginal peoples in Australia.